Has one of my favorite one-liners in film. Great 80s action flick with a great lead and great "villain". 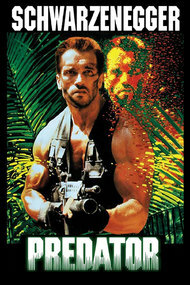 Arnold in the jungle hunting the hunter cause he's da boss.